Catch the SPD Charity Show 2015 <>, SPD’s fifth, ‘live’ over MediaCorp Channel 8 on Sunday, 22 March at 7pm, and repeated on 5 April at 3.30pm. Dr Ng Eng Hen, Minister for Defence and MP for Bishan-Toa Payoh GRC, will grace this three-hour television fundraiser. 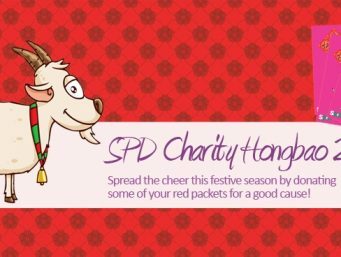 Spread the joy this festive season with SPD’s annual fundraising project, the SPD Charity Hongbao! In conjunction with Giving Tuesday SG, SPD will be running the “Have A Sweet Day” campaign from 17 November to 31 December 2014. Make a donation of $2 or more at any of the 65 participating hotels and F&B outlets and you will receive a lollipop to brighten your day as you make a difference to the lives of people with disabilities. 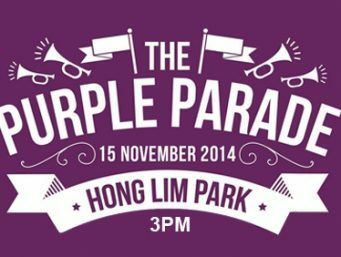 The Purple Parade is back! Find out how you can do your part in supporting inclusion and celebrating the abilities of persons with special needs. 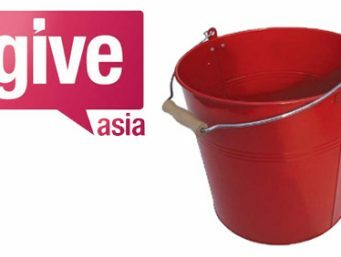 Two individuals are raising funds for us through the Ice Bucket Challenge via GiveAsia pages! Find out more on how you can play a part. The SPD Flag Day 2014 will be held on 14 June 2014 from 10am to 6pm and we are looking for all the help that we can get! Spread the word to your friends, family and colleagues and take part in this meaningful event! Sundown With Love, the CSR arm of Sundown Marathon, is back this year with SPD as one of the four beneficiaries! Run for fun, run for the love of running and run for humanity. To mark SPD’s 50th Anniversary milestone to commemorate the extension of its services to the West, SPD will be holding an overnight walk, ‘Journey to the West’ that traces its footprint from our headquarters in Tiong Bahru on 9 May to our second satellite centre, SPD@Jurong on 10 May 2014! 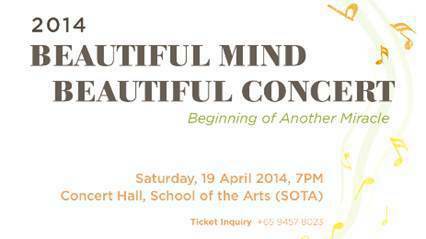 This is the third ‘Beautiful Concert’ organised by Beautiful Mind Charity Singapore and it will be held on 19 April (Sat), 7pm, at the SOTA Concert Hall. Join us for a day of FUN and do your bit to raise funds for SPD! Little or no dance experience required. 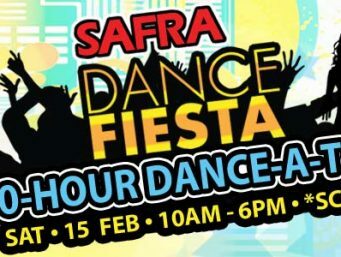 All you need to do is join us and dance your heart out!